This update process updates both the VZ Access Manager software and the device firmware. 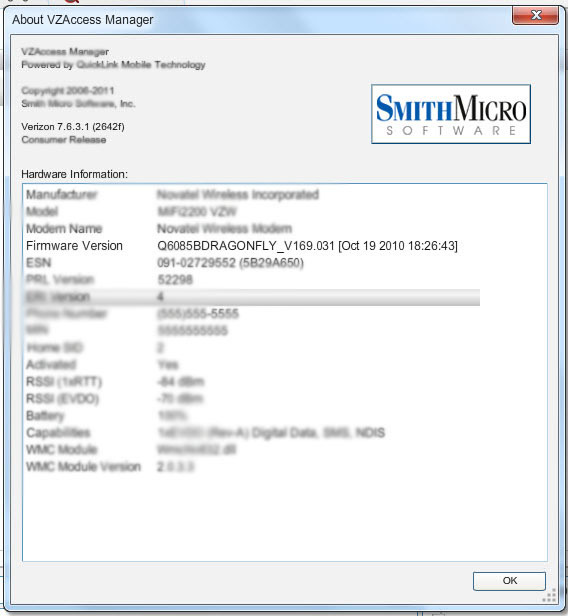 Make note of the VZAccess Manager version (next to the Smith Micro logo) and the firmware version. From a web browser, navigate to the VZAccess Manager page. View the current version available for computer's operating system (e.g. Windows 7). If this version is newer than the version found in step 3, refer to Download and Install VZAccess Manager for further assistance in updating.